The 21st Century Leadership & Life Skills. The Leader in Me Coaching System. A Common Language—The 7 Habits. Evaluation of The Leader in Me in Two School Districts based on Teacher and Students Reaction, Learning, Application, and Overall Impact. When Principal Muriel Summers asked parents and business leaders what they wanted in their schools, what she heard reinforced what most people believe—that our schools should not merely be focused on improving test scores, but should provide opportunities for students to develop their full potential. 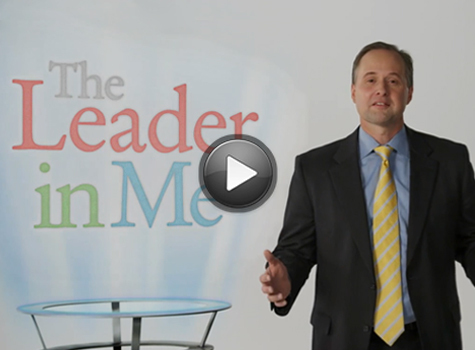 The Leader in Me is aligned with best-in-class content and concepts practiced by global education thought leaders. It provides a logical, sequential and balanced process to help schools proactively design the culture that reflects their vision of the ideal school. Instead of seeing children through the lens of a normal distribution curve—some kids are naturally smart and others are not—The Leader in Me paradigm sees that every child is capable, every child is a leader. This paradigm changes everything. It seems that the application of these seven habits in life is a real transformation towards achieving a happy life. We cannot change the circumstances but our reactions to various situations determine our happiness in life and the realization of our goals. I feel that after learning these seven habits, I am making conscious efforts to realize my goals. I have stopped bothering about unimportant things that do not assist in the realization of my goals. Some of these habits have become part of my life whereas some still require my special attention. I really need to focus time on myself to adopt the seventh habit ‘Sharpening my saw’. This week I will focus on it and would see its implications towards the achievement of my goals. It's quite beneficial for me to lead an effective, organized life. It is a life changing experience to me. This is worthwhile for to be organized, planned, to be proactive. I feel the core stone for all the habits is Be Proactive. If I will be able to achieve this habit in my life, my life will be a success and people will know me for my proactive language and proactive behavior in the end. I want to create a masterpiece of my life. The journey so far with The 7 habits is commendable I have started achieving my private victory. One effective habit of mine is that I work in a very organized manner. This helps me to keep pace with the requirements of my job profile and to deliver in a positive, rewarding manner. It helps me to keep away stress and keep calm at all times. One ineffective habit of mine is that when people around me do not deliver as per requirement it bothers me and I am ready to take their responsibility on to myself to reduce the time lag in delivery. This often allows people to take things lightly. I am slowly learning and realizing that different people have different response time and not everyone will work in a systematic manner as you would. This helps me to set more realistic deadlines for staff and delegate work as per capability..
© 2016 The Leader In Me. All rights reserved.